In our latest coaching blog Matt Durber looks at five 'principles' that underpin strength-and-conditioning training. 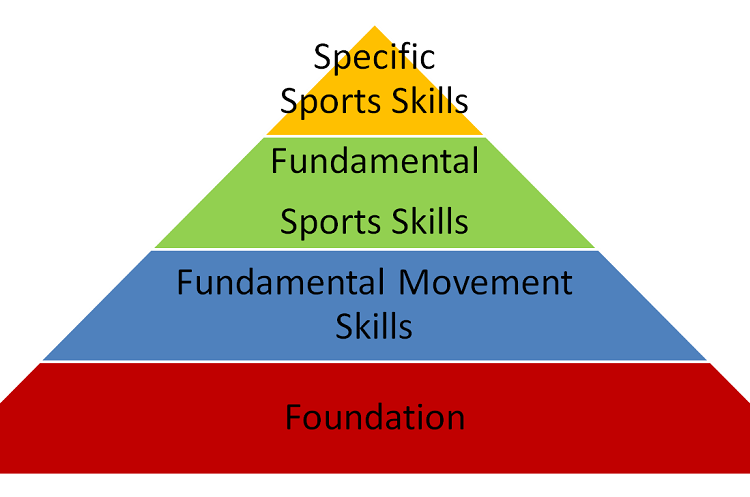 All athletic and sporting ability is built on a strong foundation of movement skills (See image). A foundation of stability, mobility, posture and control underpins all human movement. This should be developed before focussing on sport-specific skills. Athletes should learn to control their own bodies before adding any external load, and should learn to decelerate with stability (e.g. stopping/turning, landing) before working on acceleration. When training any component of fitness, it is important to think about the quality of your movement rather than quantity. Your body will learn to do what you practice. Therefore, bad technique will become habit if you repeat it. Learn to move well, whether its squats, press ups, running or jumping. Then learn to increase the amount of quality work you can perform. All players have a limited amount of time to focus on training, whether it is junior athletes with school work and multiple sports clubs, or senior athletes with full-time jobs and family commitments. It is important to try and maximise every spare bit of time you can. Spending just five minutes a day practicing quality exercise, amounts to 30 hours of training over a year. Add this to your regular training each week and you can make a real difference to your movement and fitness. “Sport-specific fitness” is a buzzword that gets used a lot in strength and conditioning. However, do all handballers really need the same conditioning? The physical requirements for different positions on the court can vary and so training should reflect this. Think also about the individuals you are coaching. If you have a players who is quick but not very strong, would you train them the same way as a player who is strong but slow? An athlete-specific fitness approach will get more out of your players. The role of a strength and conditioning coach is to maximise the fitness of the players. This means ensuring that the programme is designed solely to improve the area of fitness you have identified needs work. A solid programme of a few key exercises, repeated to allow progression over time is a much smarter way of training than using the latest fad training tool. Variety may be more interesting, but changing the exercises session-by-session provides a much smaller stimulus for adaptation.